Scale models are built from polymeric plastics and landscaping materials. We use CNC lasers to cut the physical model directly from your drawings, guaranteeing accuracy and a high precision finish every time. Scale models can be supplied with individual plot, house and apartment lights that are operated from a hard wired key board. The final scale of the property model depends on your reason for needing a model, how much space you have available, and your budget. Supplying us with a detailed brief as to your ideas will allow us to give you the best options available as well as the most competitive of prices. Send a site plan in dwg format and brief and we will come back to you within 24 hours with base plate dimensions for various different scales. 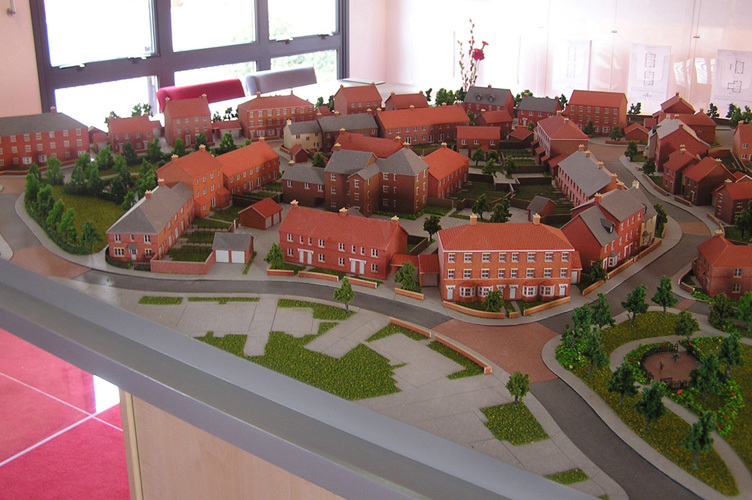 This is a 1:200 scale model of Phase 1 of Cala Homes' Moreton Park development. 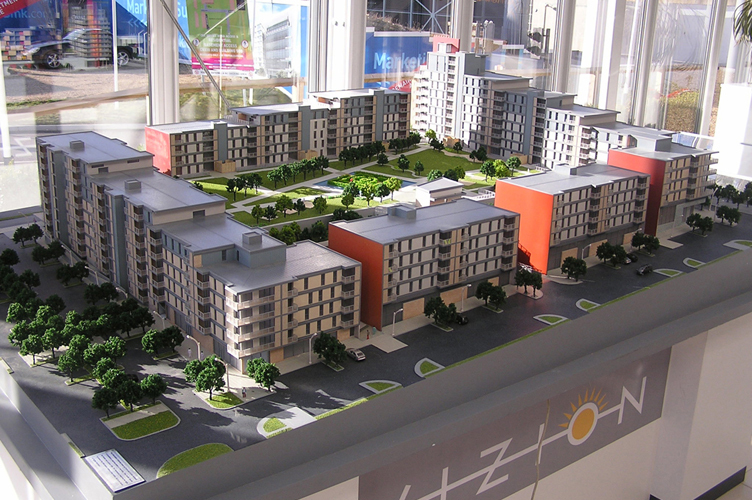 This is a 1:100 scale model of a Barratt Homes development in Milton Keynes. The model size is 1.9m x 1.7m and has individual apartment lights operated from a hard wired key board. A walkthrough animation was produced for the same development. 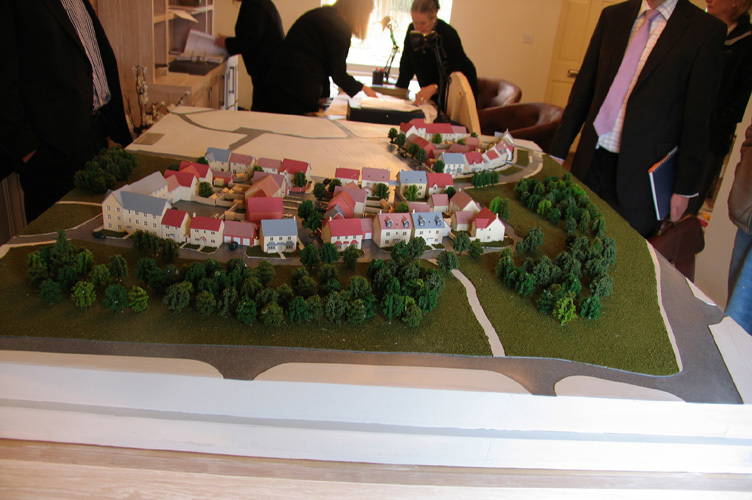 This is a 1:150 scale model of a Redrow Homes development in Yorkshire. 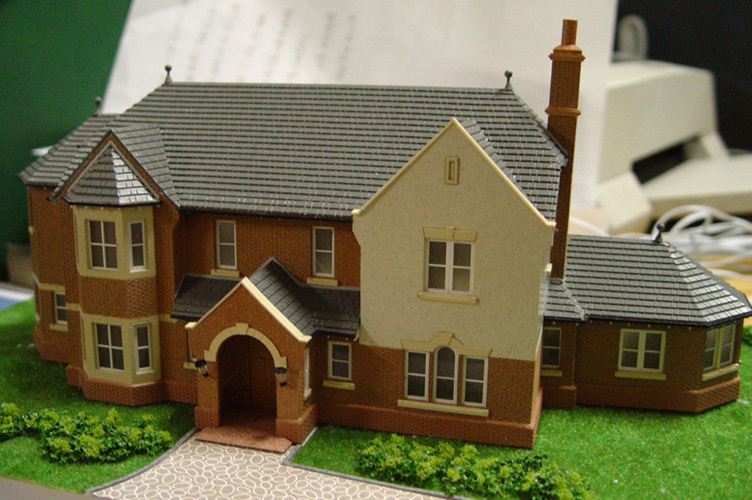 This is a 1:50 scale model of detached house. These models can be broken apart to show the interior layouts by lifting off the roof and 1st floor. Generally the rooms are shown in white with basic fixtures and fittings without furniture. Provision of loose or fixed furniture is also an option. This is a work in progress 1:150 scale model. 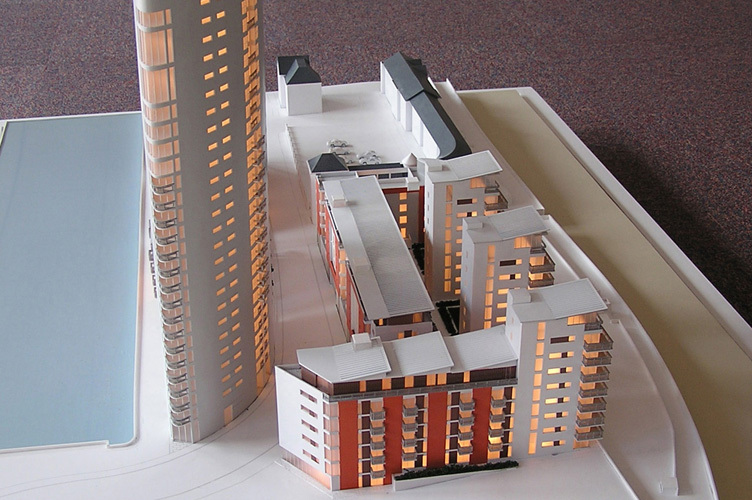 This is a planning application 1:150 scale model for the Earthquake development at Swansea Harbour. 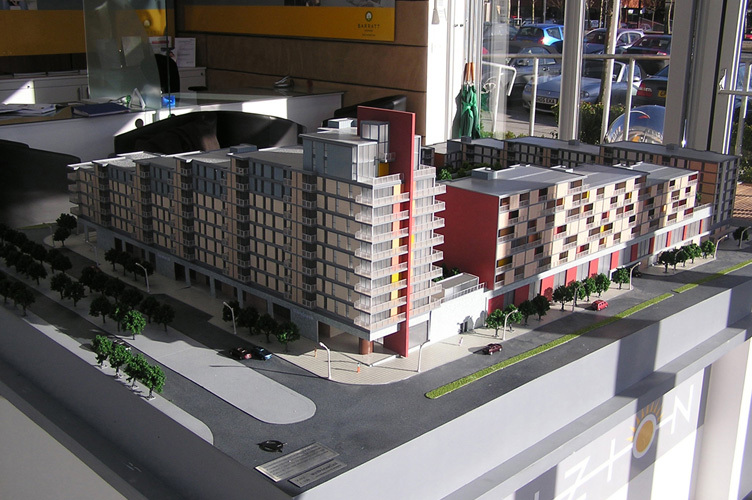 The model was used as part of a successful planning application. 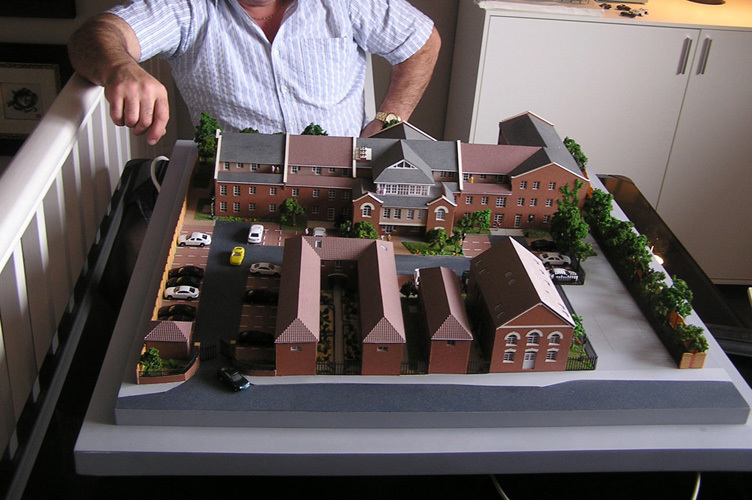 This is a 1:100 scale model of a proposed retirement village at Barton upon Humber showing a satisfied client. 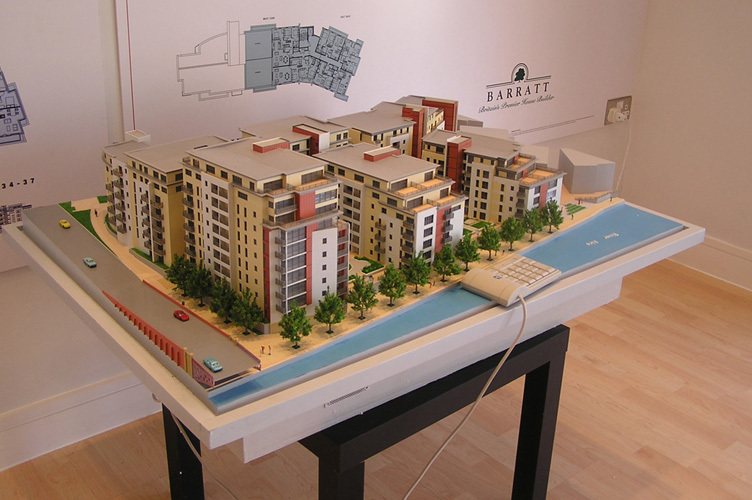 This is a 1:150 scale model of a Barratt Homes West Yorkshire development in Leeds. The model has individual apartment lights operated from a hard wired key board. 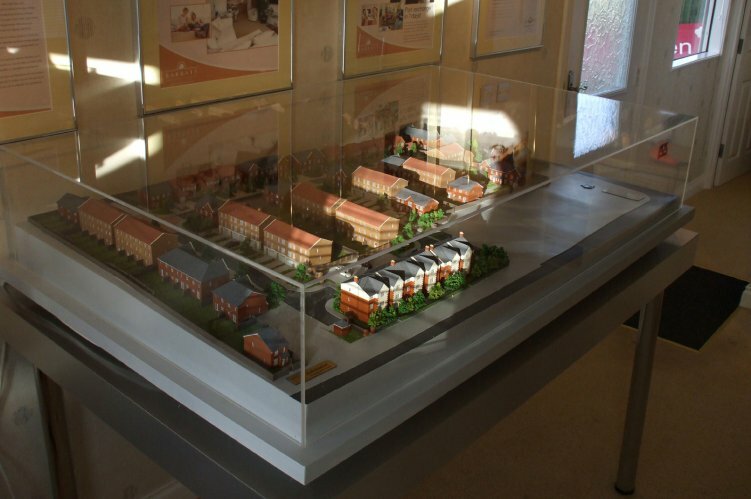 This is a Cameron Homes 1:150 scale model of a development in the West Midlands. 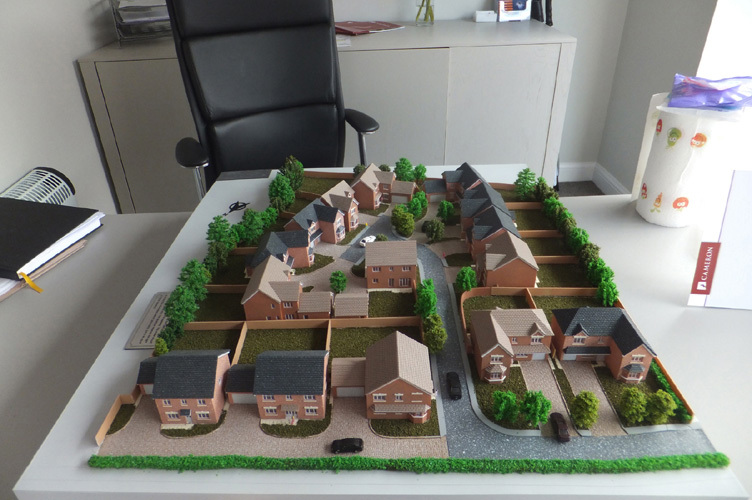 This is Barratt Homes West Midlands scale model and the photo includes the model stand; a table with four tubular Ni/ Cr legs. 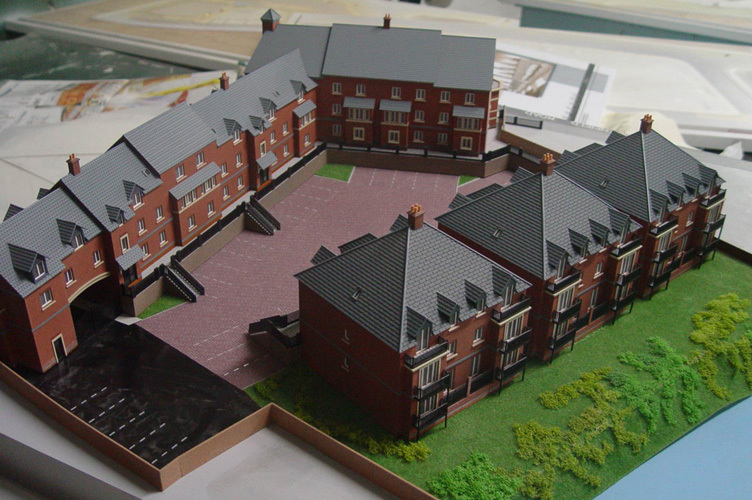 This is a 1:150 scale model of a Cameron Homes development. For another insight into model making, please visit: Langford Model Makers.